Tre Residences consist up of 2 building of 17 storey residential buildings with a total of 250 residential units with full condominium facilities and basement car parks. Tre Residences will promotes facilities like security, 50 metres pool, indoor gym, BBQ, children's playground and club house surrounded with lovely greenery landscape gardenings. The pool will be placed at the position closer to the MRT track in order to conserve a good distance away from any haphazardness from the MRT. Tre Residences will have an effective layout finished with hight end fixtures and fittings. Tre Residences can conveniently access to Ajunied MRT which is a short 200 metres away via a sheltered walkway. 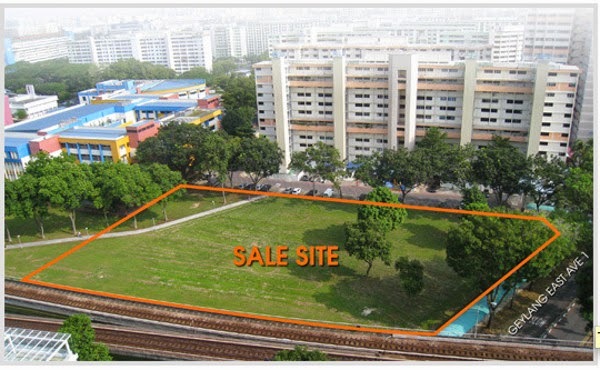 Tre Residences at Geylang East area with teemingness business enterprise and office space that would uphold to cater rental demand for residential estates and track to capital appreciation. Tre Residences Situated in a city fringe, residences save a lot move time. Paya Lebar MRT and City Hall MRT is only 1 and 4 MRT stops away respectively. Geylang East with numerous coffeshops and Geylang East Market Food Centre, comprehensive variety of restaurants can esily be retrieved along geylang, your daily needs is taken care of. 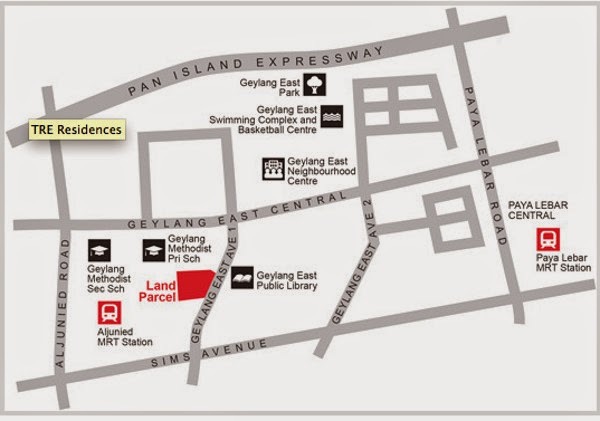 It is close to Geylang East Community Library and beside Geylang Methodist Primary/Secondary School. Esteemed Kong Hwa School is also within close proximity. Healthcare needs are easily considered at closeby SingHealth Polyclinics Geylang. TRE Residences with nearby Marina Leisure Belt , East Coast Park, and Kallang sporthub, will also get to enjoy sporting events and entertainment such as concerts, events and performances.